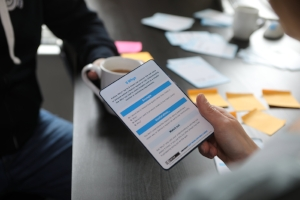 In the previous post from this series, we introduced our 'discovery cards' that have been created to help teams get more out of their collaborative discussions, a tool used in the Hindsight BDD training course. We looked at techniques to help get the conversation started, but teams also need to go beyond the surface of a requirement or idea to really appreciate the value. In some cases, this can also lead to the discovery of other ideas and requirements. So, for this post, we are going to look at a couple of techniques that can be used to help teams delve deeper into ideas and requirements, ensuring they do so efficiently and effectively. These sometimes feel like you’re stating the obvious, but they can help to confirm understanding about a given example. They often highlight when team members have different interpretations, and help to solidify ideas. Q: What do you mean by ….? Q: So, is X like Y? Clarifying questions are intended to ensure the team has shared understanding; take care when forming them so that they don’t sound like an attack on others. Listening and using the previous answer as the basis for your next question, allows you to refine and hone in on details uncovered by earlier questions. Q: How many bookings can a user have? Q: Is there a reason for the limit? The conversation has already been established and you need to dig deeper into the details. This technique requires good active listening skills to pick up on details; trying to write notes at the same time can make this difficult. Ideas don’t come from a vacuum, they are usually the product of discussions, emotions, assumptions and desires. If we take these things for granted it can affect our understanding of what we are delivering. By using these techniques in a collaborative session we can learn more about our users and their needs, identify examples and requirements that might have been missed, and generally leave the session with a deeper understanding of what needs to be delivered. In our final post, we will look into techniques that can be used to help reveal examples and ideas that might be hidden inside the examples we have already captured.